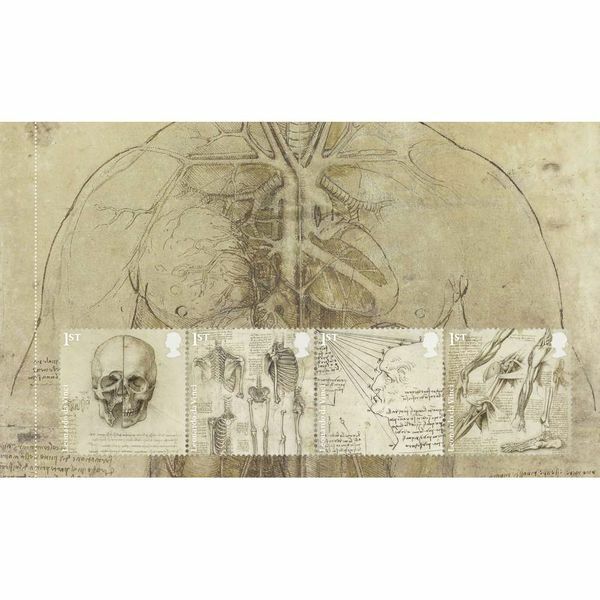 On the 500th anniversary of his death 144 of Leonardo da Vinci’s finest drawings are being displayed around the United Kingdom during 2019. 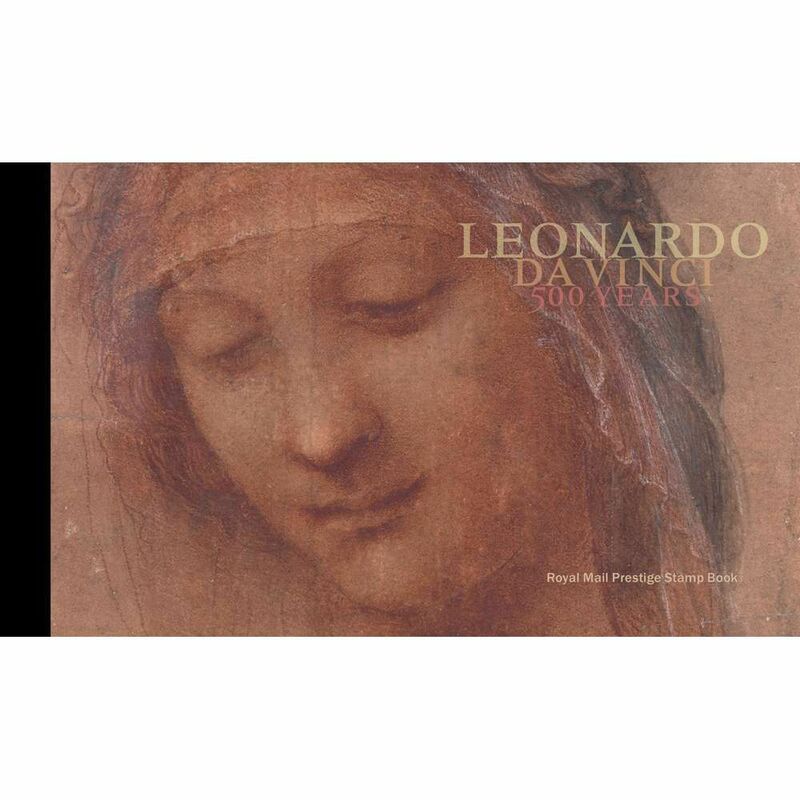 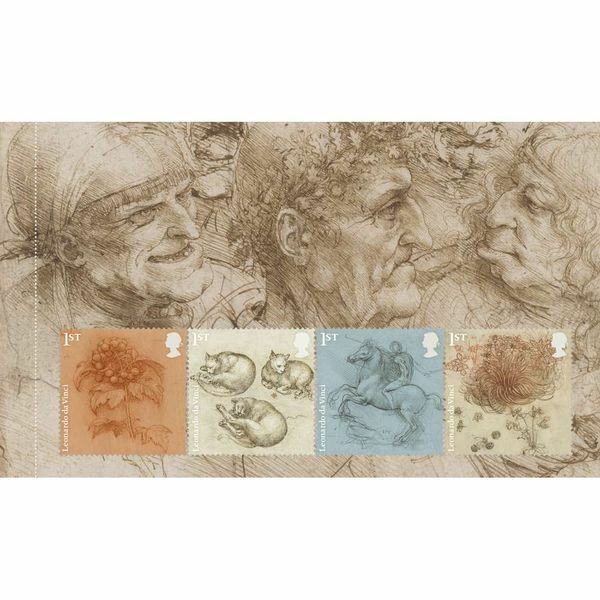 One of the greatest collections of his work is owned by Her Majesty the Queen within the Royal Collection Trust, housed in the Royal Library at Windsor Castle and some these works are reproduced here on twelve special 1st Class stamps in the exquisite Leonardo Da Vinci Prestige Stamp Book YB081. 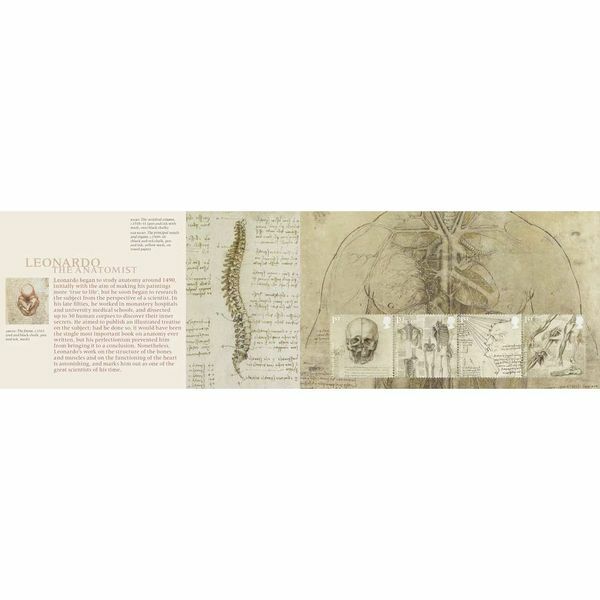 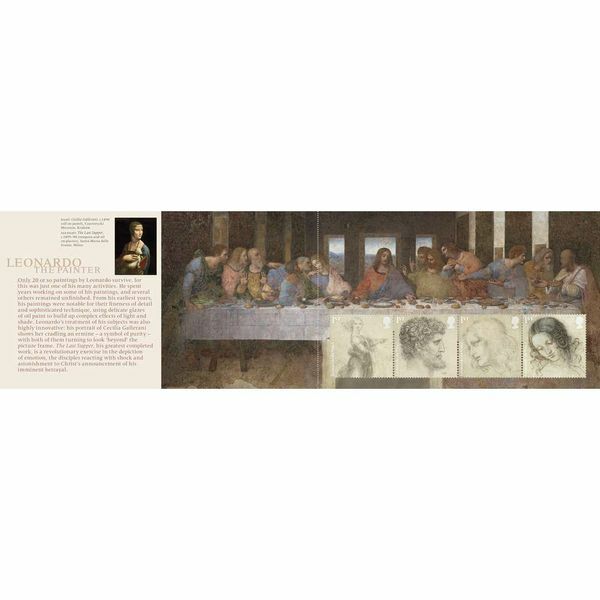 The Prestige Stamp Book features three stamp panes containing all twelve Special Stamps from the set against a background featuring examples of Leonardo’s drawings and paintings including ‘The Last Supper’. 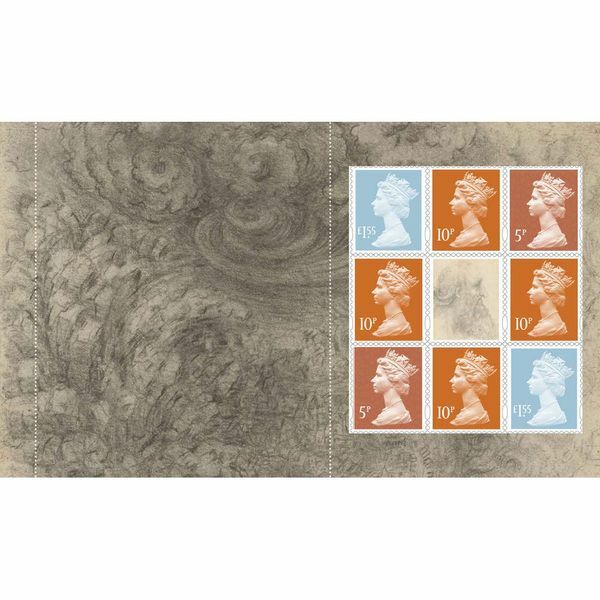 A fourth pane contains Definitive stamps in colours that beautifully complement the pastels of the drawings and paintings in the book. 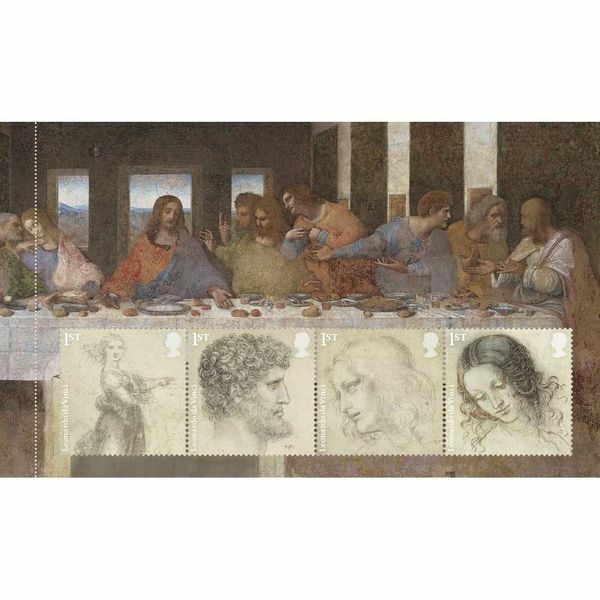 The pane also includes a self-portrait in the centre.